This is the only known full-size feeder finger for any U.S. denomination that has not been struck by coin dies. 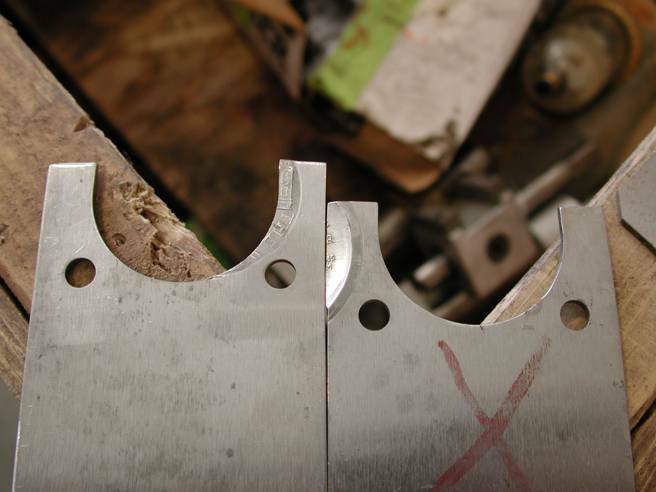 There are U.S. feeder fingers known that were struck by a private mint producing tokens and metals, that used the feeder fingers as the blank planchets. 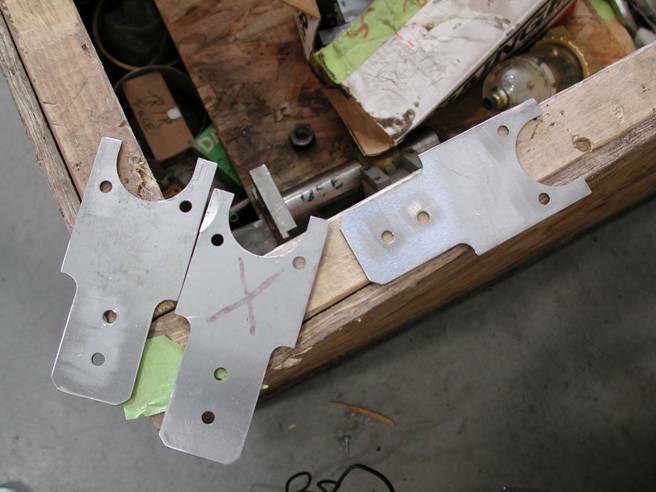 In addition, there are at least five known full-size feeder fingers that were struck on the tip by U.S. coin dies. One of these was struck by Maryland Quarter dies and was certified by NGC. It was offered by another major mint error dealer for $25,000 and it eventually sold. 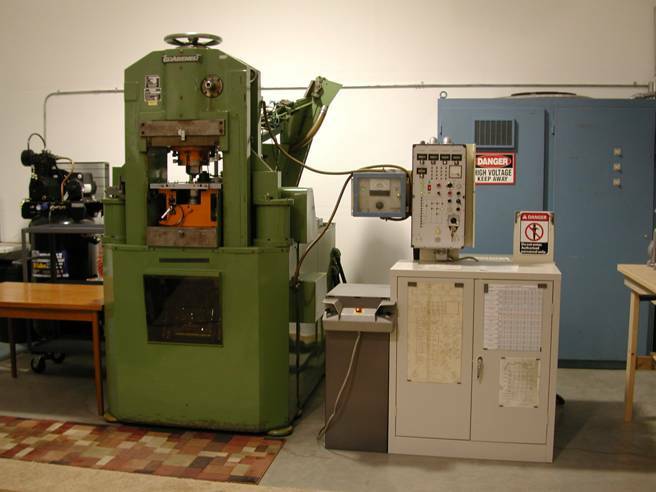 As amazing as it seems, the Grabener coin press was sold as surplus at a government auction in 2001. 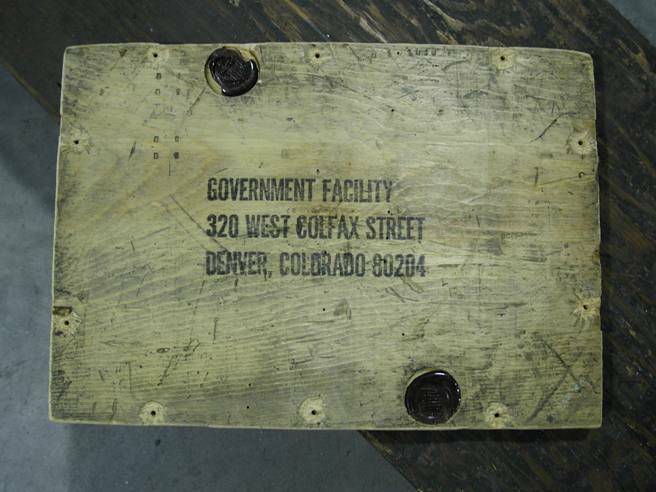 It was stored in a warehouse near Denver from 2001 to 2006. 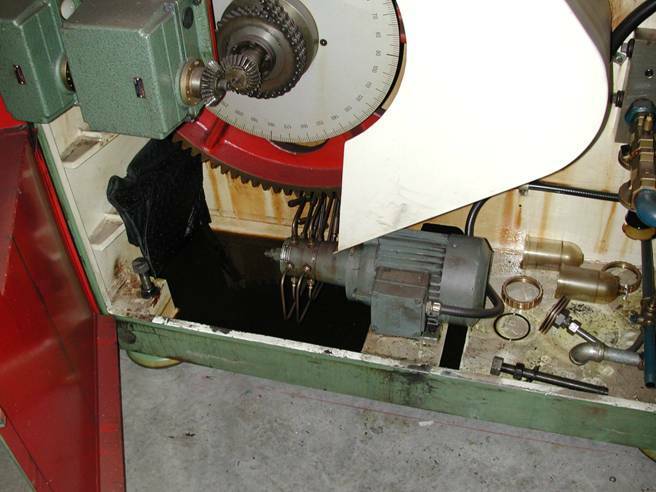 In 2007, the private Moonlight Mint purchased the Grabener press and restored it in 2008. 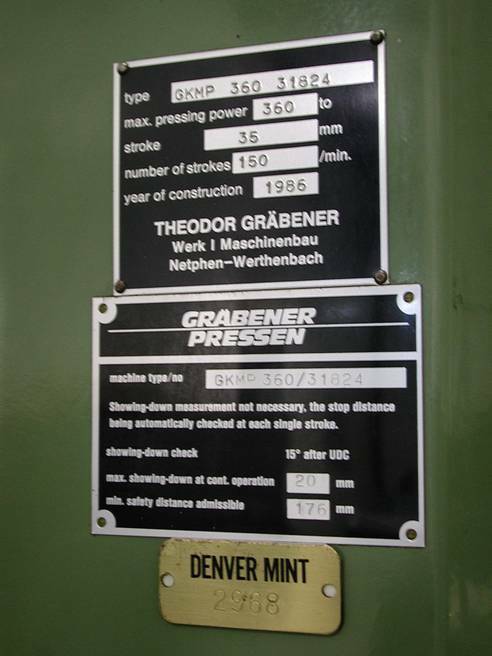 The Grabener coin press was manufactured in Germany in 1986. It went into service at the U.S. Denver Mint from 1986 to 2001, striking mint sets, commemorate coins and medals. 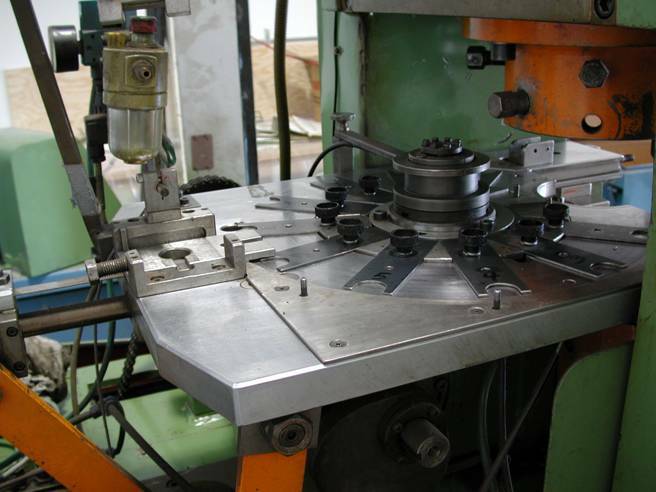 When the Mint stopped producing commemorate coins in the late 1990's, the press became surplus and was legally sold by the government as scrap. 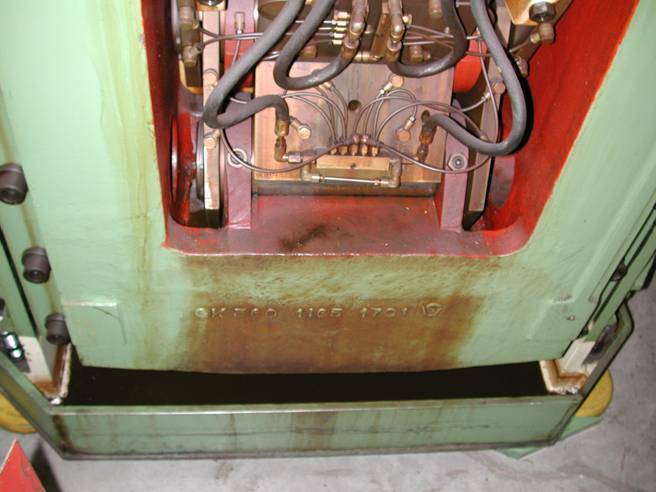 When Dan Carr of Moonlight Mint was performing the restoration, many artifacts, coins and items were discovered in the oil pan, near the electric motor, under the conveyor belt and under the mounting plate. 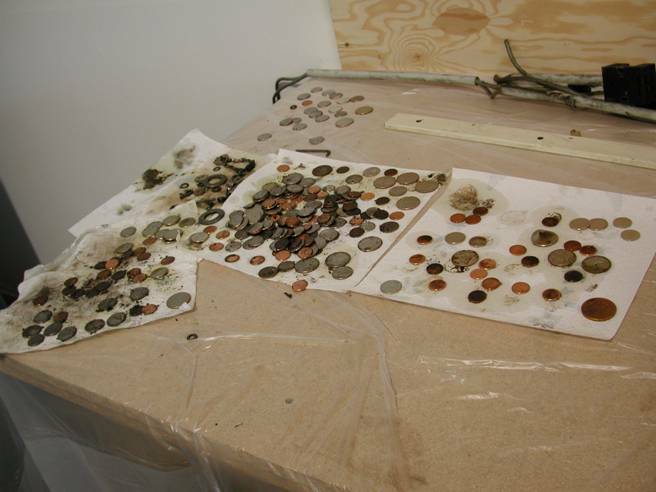 He discovered blank planchets, normally struck coins and medals and feeder fingers. 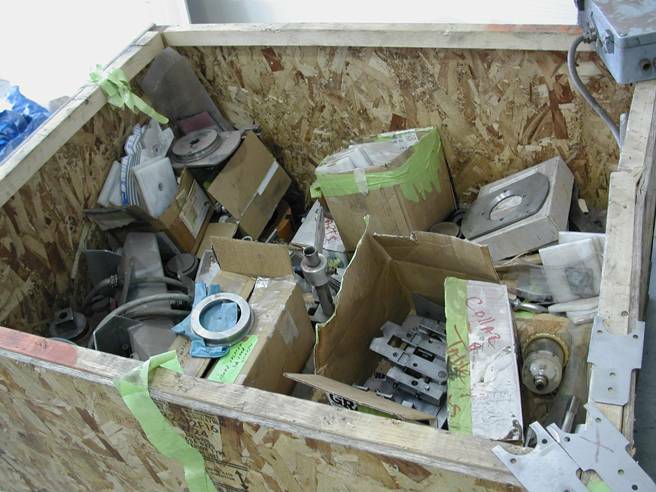 Inside the crate that housed the Grabener press were spare parts and several hundred feeder fingers. 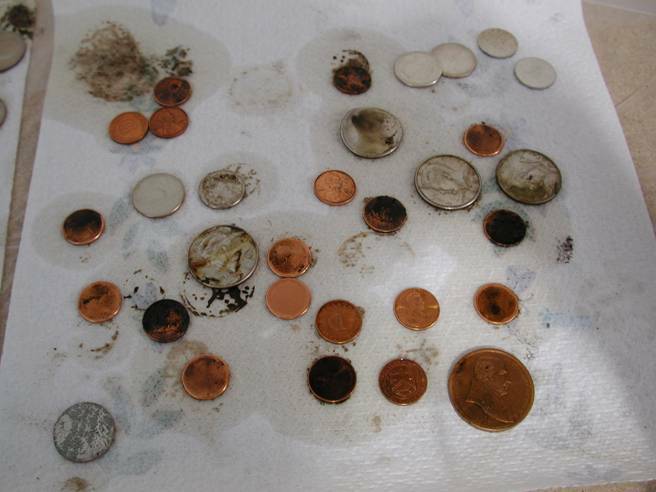 In addition, there were cancelled dies and a 25¢ collar. 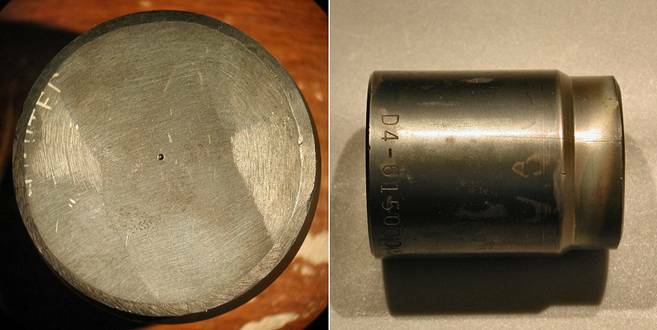 Various U.S. mint errors were also among the discovered items, including a 1989-D Congress Commemorative with rotated dies and a 38mm Mint Medal struck off-center. A few feeder fingers that were struck by U.S. coin dies and show a small amount of detail on the tip of the feeder finger were also discovered. To commemorate Moonlight Mint's 10th anniversary of operation, Dan Carr struck his commemorative medals on the entire group of feeder fingers that were in the crate except for this one, being offered here. 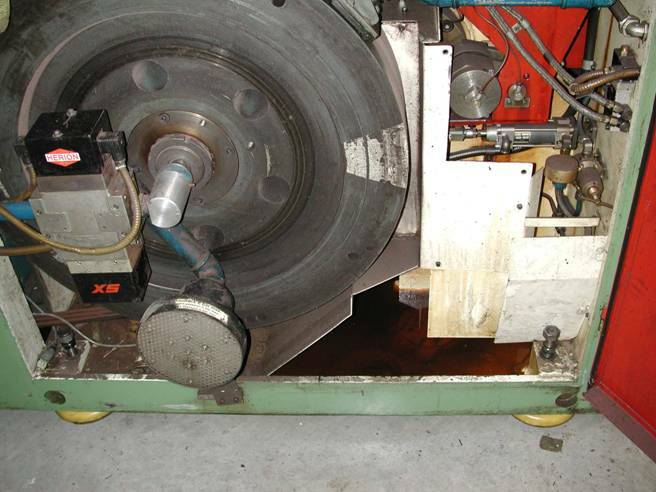 It is a stainless steel full-size feeder finger used in the production of striking U.S. quarters at the Denver Mint on this Grabener press. 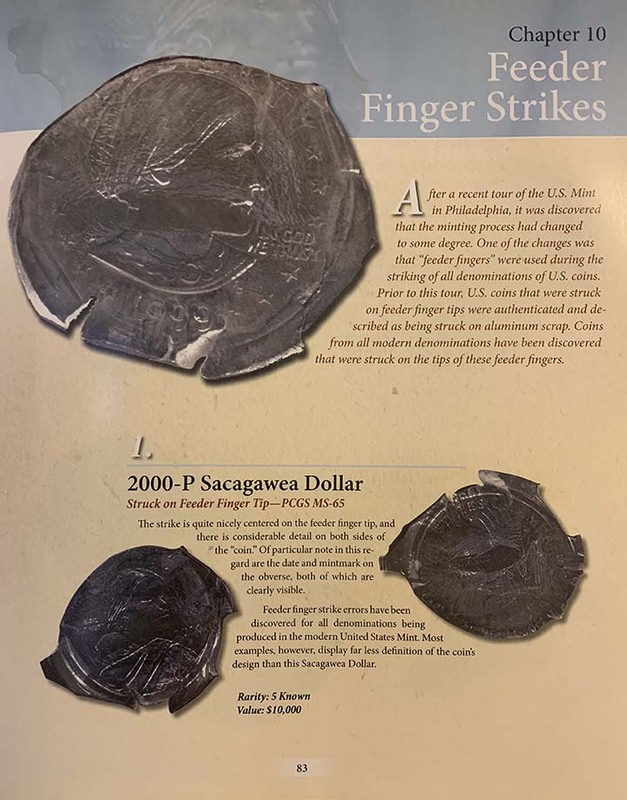 To date, it is the only known full-size feeder finger used in the production of striking U.S. coins from any U.S. Mint on any denomination, that has been preserved in its original state, and not used to strike medals or tokens, using the feeder fingers as blank planchets. Had it not been for this Grabener press housed in a crate along with coins, tokens, medals, blanks, collars, dies and feeder fingers, that was auctioned by the government as surplus scrap, this full-size feeder finger in its original state would not exist or be in private hands legally. 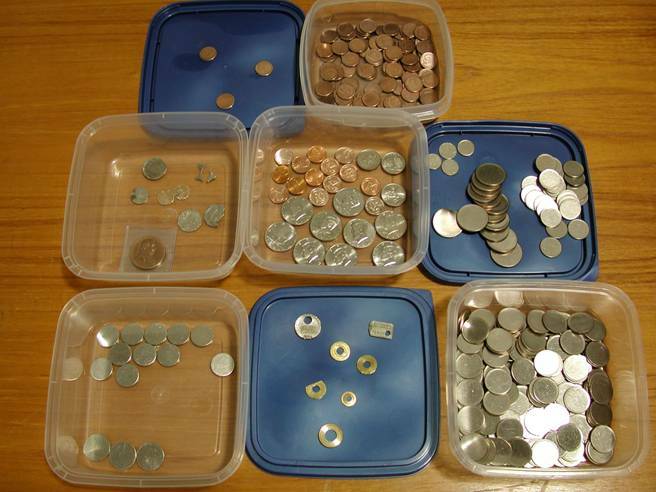 Dan Carr from Moonlight Mint has documented the entire story of purchasing the crate that contained the Grabener coin press, along with the coins, medals, tokens, feeder fingers and other items. His commemorative medal for Moonlight Mint's 10th anniversary of operation that was struck on the actual feeder fingers discovered in the crate is available from the Moonlight Mint website, moonlightmint.com. Since Moonlight Mint used every feeder finger from the group discovered in the crate to strike his 10th year anniversary medals, this stainless steel quarter-size feeder finger was the only one that was not used to strike his medals. 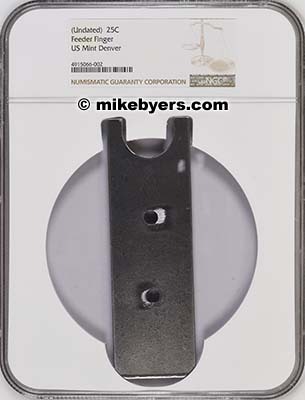 After negotiating with Dan Carr, I purchased this feeder finger and showed it to Fred Weinberg. Fred is the authenticator for PCGS for error coins. 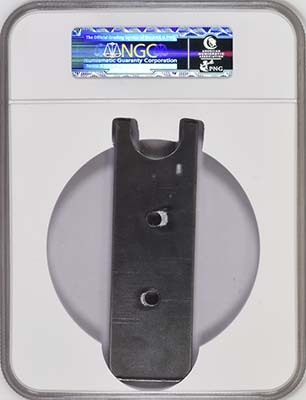 Fred was familiar with the crate and press being sold as surplus and authenticated and verified that this stainless steel feeder finger was a genuine U.S. Mint product and was from the surplus crate that Dan Carr / Moonlight Mint had purchased. 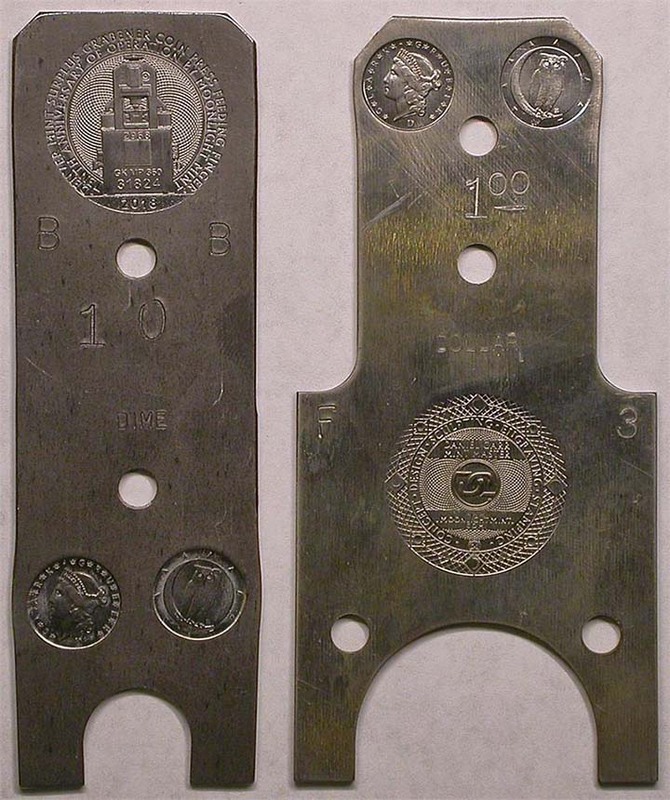 It is now being offered for sale and is unique since it is the only known and legal to possess, full-size blank feeder finger in its original state from the U.S. Denver Mint which used the Grabener press to strike coins. 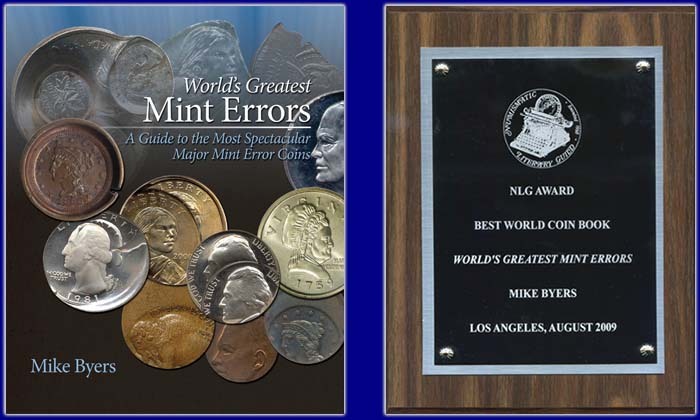 In 2000, I was the first dealer to discover a new type of U.S. Major Mint Error, Coins Struck on Feeder Finger Tips. In my NLG award-winning book, World's Greatest Mint Errors, I devoted a chapter to this new type of error. Above are all the feeder fingers that I discovered.